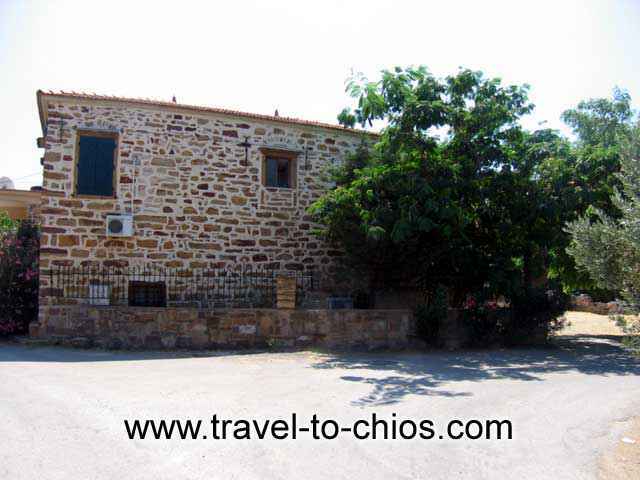 "Villa Clio" consists of two medieval chiotic stone - buildings, renovated in a modern style, located in the Kambos - area. 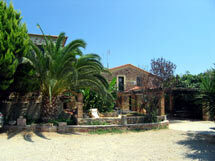 The friendly and quiet surrounding may offer you a special relaxed atmosphere. 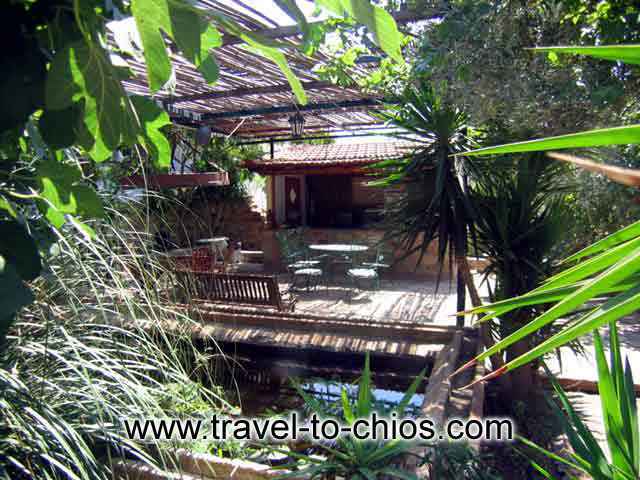 Next to our chiotic - styled fountain, surrounded by beautiful gardens, you and yor family may enjoy your time in the cooling shadow of banana - and palm trees. 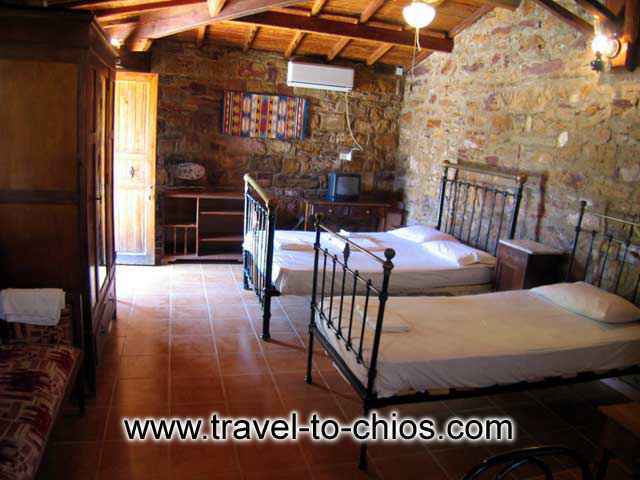 All our rooms apartments are fully furnished with private bath and kitchen, to offer you every pleasure and unforgettable holidays. 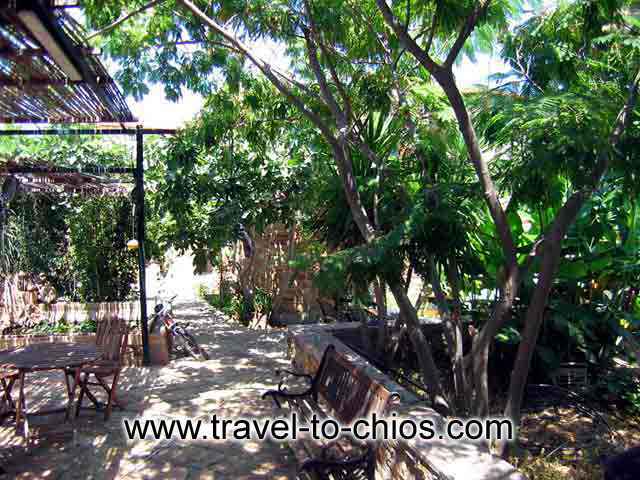 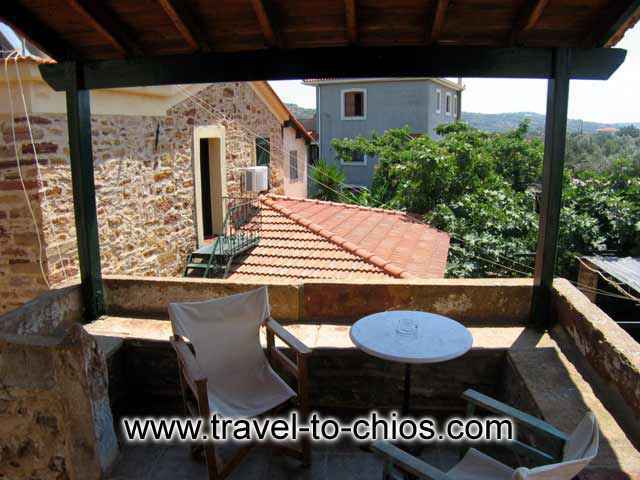 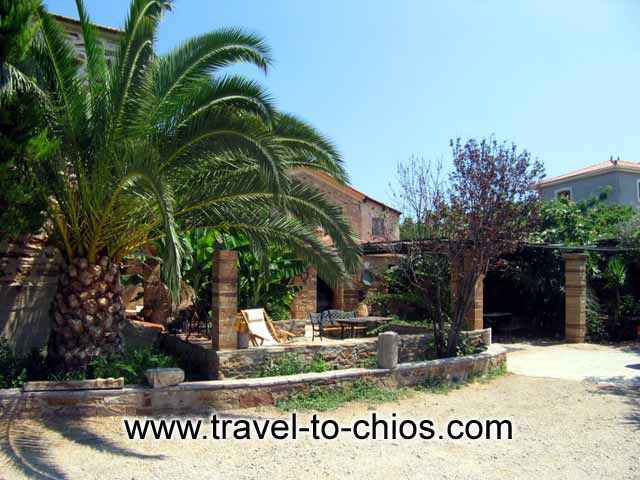 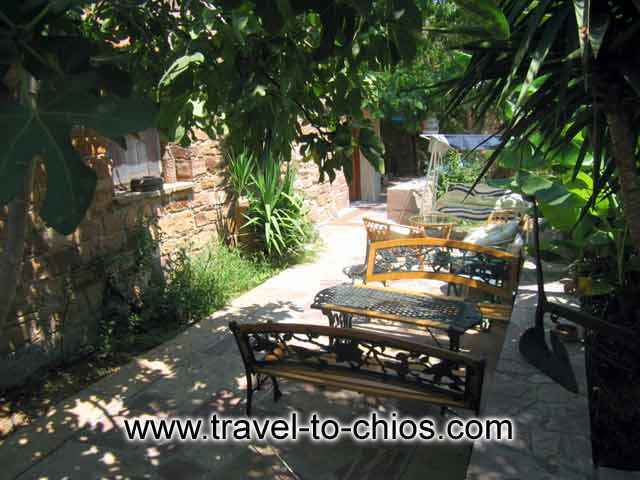 Located just 4 Km from Chios - town and 1 Km from the sandy beach of Karfas, easy to reach by local bus (daily time - schedules), you have every chance to go for shopping down - town and on the beach, as well for sight - seeing. 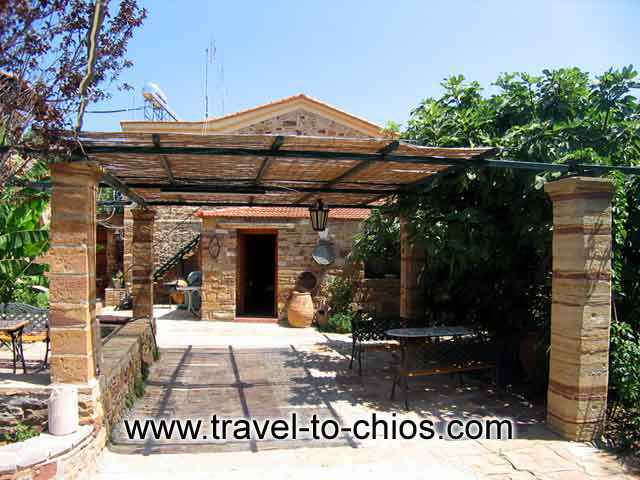 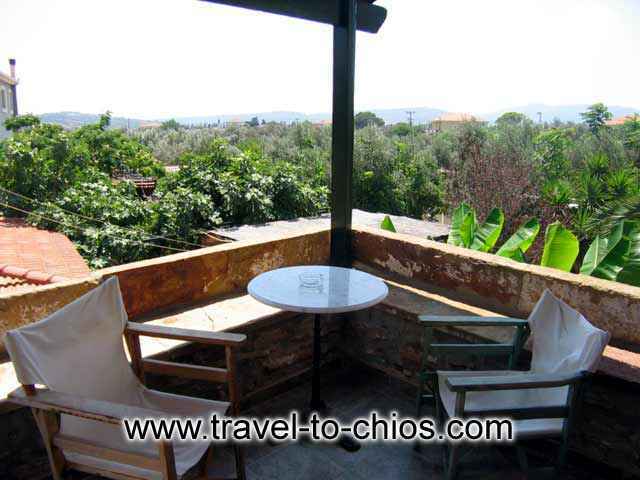 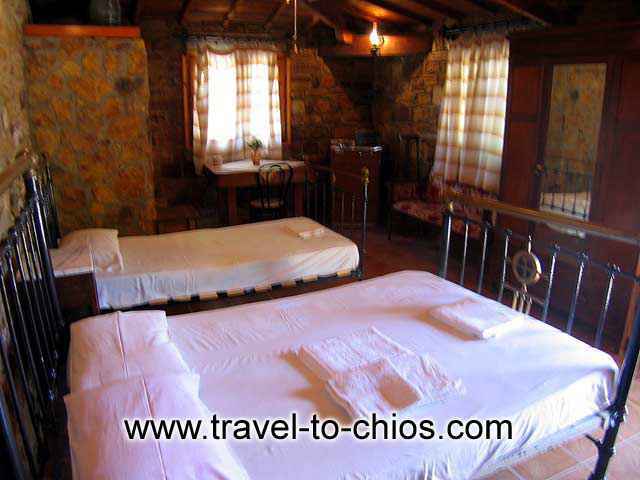 The owner and his family are looking forward to offer you their warm hospitality at Villa Clio.